As you might have seen in this post, I went to Nashville last month with one of my best friends. It was so much fun, but also a lot of planning ahead of time went in to make it fun. 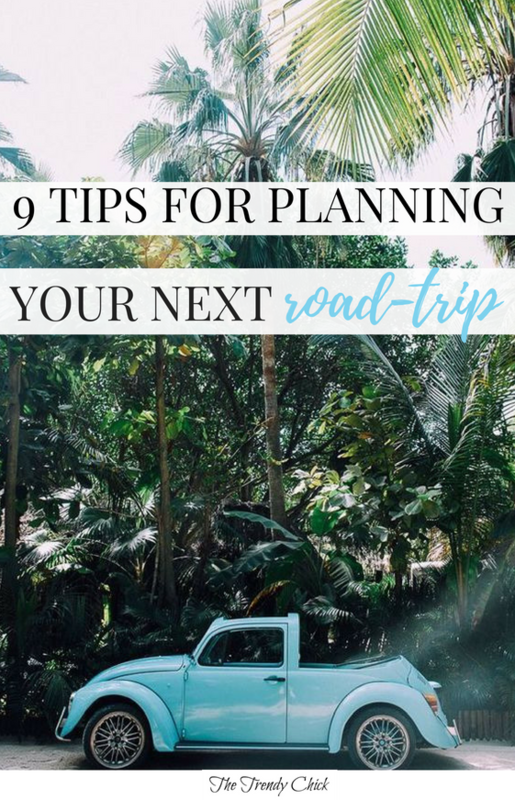 Today I wanted to share some of my best tips for how to have a successful road-trip, whether it is a 2 hour drive or a 20 hour drive. Our trip was only 6 hours there and 6 back, so we only made one stop about 3 hours in to eat and get gas. It was nice for both of us to know that we were stopping there because it gave us something to look forward to and then we were both on the same page about when and where we were eating. This is especially important if you are going to be in the car all day and will need some energy mid-afternoon. This also can save you time since you won’t be stopping at gas stations as often to pick up a pop or a bag of chips. Don’t just trust your GPS to take you there. Make sure you at least have an idea of the route you will be taking, and make sure it is the quickest or easiest route. If you are traveling through a city that has lots of tolls (Chicago, I’m looking at you) make sure you have change for that or see if there is an alternate route that will allow you to skip the tolls all together. Even if the alternate route adds a little time onto your trip, it is usually worth it. If you are road tripping with friends, make sure you settle how you are splitting gas beforehand. You don’t just want to stick the driver with the entire cost, so I recommend rotating who fills it up as the trip progresses, or just add up the cost of gas and split it equally at the end to reimburse whoever paid. If all your passengers can agree on a podcast, it is a great way to pass the time. Otherwise just make a playlist that includes all of your favorite songs! I’ll be the first to admit I am not great with cars. But you probably want to clean out your car, fill your tank and check your tires before you begin on a road-trip. If you have one final destination that you are reaching, make sure to book ahead of time to find the best option. But if you are doing a road trip that is multiple days long, consider waiting to book so you don’t lock yourself into stopping at a certain location. This means that you are not on as tight of a schedule and can go slower or faster than originally anticipated depending on what sights you stop to see. If you are going somewhere that involves tickets, you most likely will want to purchase those well in advance. If you wait until right before your trip, there is a good chance they could be sold out. If you let people know your final destination or a state you are going through via a tweet, more likely that not one or more of your followers will have gone there before and will have good tips on what to see and what is not worth it. What advice would you give someone about to embark on a road-trip? Tell me in the comments below!